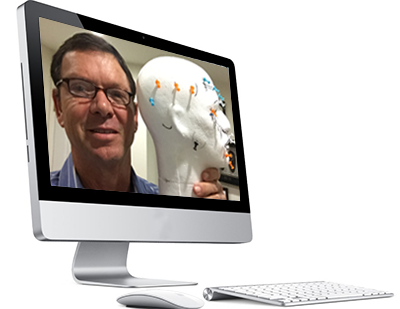 Convenient Online Format – Learn from your home or office, while still obtaining the benefits of live interaction with Dr. Katz, as well as hands on elements using a model shipped to you in advance. 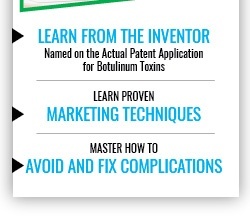 Learn From Trusted Educators – Dr. Katz is an acclaimed international educator, inventor and creator of treatment protocols (named on 5 medical patents including Botulinum Toxin applications), and Dentox is a highly reviewed organization (see reviews on google+ and yelp) A+ BBB organization. Proven Marketing Techniques – Learn Dr. Katz’s proven (via his own highly lucrative private practice, and continued success of his students) marketing techniques for Botox and Dermal Fillers, with clearly implementable steps. Certification – Dentox is an approved PACE program provider, and our Dermal Fillers certification is highly respected. In fact, many of our students are actually referrals from insurance companies. Continued Access – Dr. Katz makes himself available to students after your Dermal Fillers training, and you are given anytime access to a recording of the program for future revision. Students are also entitled to free hands-on Dermal Fillers instruction while injecting at any live Dentox program, as well as discounts on attending the entire live programs. Signing up for our dermal fillers course online. Clicking on a link in the email we send to you. Watching the class on your device. Asking questions by speaking into the built in microphone or using the chat box. 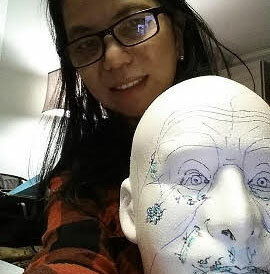 Using the device’s camera or your phone to demonstrate your technique on a live patient or foam model. Receive certification within 48 hours of your demonstration. The entire process is very intuitive, and we have an IT person on standby should you require any assistance. In this dynamic and comprehensive Dermal Fillers training program, learn how to properly and successfully use injectable dermal fillers, including Juvederm Voluma and Restylane. With these remarkable products, you can sculpt beautiful visages for your patients while increasing the viability and income of your cosmetic practice. This Dermal Fillers course teaches you how to get the best results for every kind of patient. In addition, you’ll learn how to use dermal fillers in conjunction with Botox for the best possible results on the cheekbones, chin, nose and mouth. Included in the course, intended for medical professionals who offer or want to offer cosmetic services, are details on the most important clinical aspect of dermal filler use not available on YouTube or on the product inserts. This online Dermal Fillers class includes topics such as facial landmarks, tissue manipulation sites for prevention of material migration, best injection sites and useful tips that virtually guarantee successful outcomes for all kinds of patients. The instructor will work with you one-on-one and test your understanding of covered concepts via your computer connection and with the use of demonstration by you on a model head. More than 94 percent of fillers are products involving hyaluronic acid or HA. When you add these safe and easy-to-inject fillers to your set of skills, you’re setting the stage for a stronger and more prosperous career and practice. Our instructor has more than a dozen years of experience education people like you on dermal fillers and Botox and has graduated thousands of medical professionals. These include doctors, nurses and other kinds of healthcare professionals. The Dentox online filler training course is designed to offer everything a participant should know about these in-demand aesthetic treatments. That begins with an understanding of how to differentiate between the different brands of dermal fillers to know which products are best for your patients. It continues right through to practicing injection techniques until you establish complete comfort. During the program you are always supervised and instructed on your own face or model head, even though you’ll be participating from your location online. Estimates indicate that there are more than 60 million people in America’s Baby Boomer generation who may be in the market for aesthetic procedures, and that pool will rise until the year 2025 or perhaps beyond. Soft tissue augmentation procedures including dermal fillers are the second most popular of all non-surgical cosmetic procedures, following only Botox. The reason is because long-term results are possible. There are also a wide variety of fillers available today that can be used to improve a wide array of esthetic concerns. The average profit for administering these materials is $200 to $350 to $400 per syringe, and this is generated in a few short minutes. The Dentox dermal filler program from Dr. Katz is a complete track to certification for doctors and nurses as well as dentists and other healthcare professionals. Free refresher courses and online course archives are available to course attendees. Also included in the Dermal Fillers training program is a study of specific protocols for each of the injections zones and other practical tips designed to help ensure postoperative compliance and the right aftercare for every patient. The practical and intensive sessions are designed to provide everything necessary so that students can then demonstrate their mastery of the concepts in a hands-on manner. Dr. Katz and his friendly, competent and attentive staff make sure you finish the course feeling completely confident about performing dermal filler and Botox procedures on real patients. And Dentox offers a unique guarantee that ensures you get one-on-one instruction later at no additional cost if you feel that you need additional hands-on training to become totally proficient. Injecting dermal fillers is one part art and one part science. Since you have a limited amount of product in each syringe and strategic placement of the product is essential to get the best correction, it’s easy to see how both subjective and objective criteria must be considered. It is also crucial to set patient expectations and identify what sorts of issues can be corrected with dermal fillers and what cannot. Isn’t it time to join the thousands of doctors, nurses, dentists and other medical professionals in the United States who have integrated dermal fillers into their practices with great success? There’s very little capital cost associated with the addition these lucrative and beneficial procedures to your practice yet they’re in very high demand. When done right by a well-trained medical professional like you, patients can enjoy a high level of satisfaction. Get the instruction you need to give your patients what they want and what you need to expand and ensure the success of your practice. Our dermal fillers training efficiently and affordably teaches you the practical information and techniques you need to reach the large and lucrative dermal filler market. Google indicates that there are tens of thousands of searches for the phrase “dermal fillers” each month. These often-frustrated searchers are people with a high level of disposable income who make ideal new patients for expanding your practice. Many other ways to bring in new patients require a significant equipment investment up front, but for dermal fillers, the only investment is the low cost of the course and some basic materials. The first few treatments you perform will pay these small expenses. Even better, each dermal filler treatment takes just 5 to 10 minutes in most cases, giving you a profit-to-time ratio you simply can’t get any other way. Our dermal fillers training also includes valuable information on pointing out treatment value to patients, making it easy to gain their acceptance. With our training, you can turn skeptics who are concerned about pain, cost and other issues into fans who will serve as your practice’s ambassadors, helping you bring in new patients. We even cover how much to charge your new patients, the right insurance codes for those who are covered and how to get your money from non-cash patients. Thank you for the fillers course. I learned a great deal and look forward to expanding my practice. 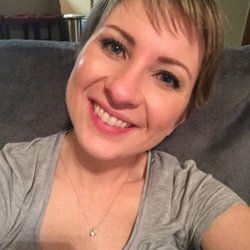 I had previously taken the Botox course and by applying your technique I have extremely satisfied clients. It has also been very profitable for my practice. I look forward to adding cosmetic fillers to my practice as I am confident that my clients will be happy and it will also be profitable. Thank you again for the excellent course. I attended the Live, online injectable fillers training.. The course is Amazing! I watched the video again , and learned more. 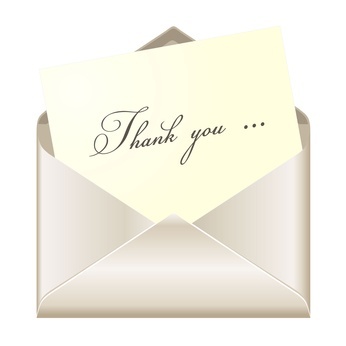 Many thanks and I will definitely be back for another course. I just finished both Botox and fillers online courses this weekend with Dr Katz. It was a great experience. They send you foam heads so you don’t have to find a friend to poke for practice. There were only a few other people in each course, so it was very easy to interact on a personal level with the instructor. He taught in a way that made the material seem simple and not intimidating. He also stressed techniques for realistic and attractive outcomes. I would definitely recommend the courses. In fact, I will be signing up for a live class in a couple of months so I can learn PRP as well! He also gives his email in case you have questions after the course. We have had an amazing experience with Dr. Katz and Ari. We were hesitant to take a course online however through the online video that you can watch over and over and the quick correspondence it is honestly better for me than going to a live course. Thank you so much for all your help Dr. Katz. He is clearly very skilled at what he does and understands the aesthetics of a face… I hope other doctors learn from this master. Thank goodness I took this course before expanding my practice to include aesthetics, it shortened the learning curve by months if not years. I attribute the success of our aesthetics program in no small part to Dr. Katz’s insights. I felt compelled to leave this review as he goes above and beyond for his students, even after the course! I have now taken both the Dermal Fillers and Botox Training courses online with Dr. Katz.. I’ve paid 3 times as much for weekend long courses, and only learned a fraction of the real-world applications that he provides. The direct interaction with Dr. Katz over the built in webcam on my computer was surprisingly easy and effective.. these were the best CE courses I have taken, and I will be the first in line for any new courses he brings out. Your Satisfaction Guaranteed At Dentox, we stand confidently behind all our courses. We’re so certain that you’ll be happy with Dr. Katz and his associates as well as with the format, curriculum and results obtained that we offer a 30-day unconditional money-back guarantee as your assurance of complete satisfaction. Will I receive continued education credit for the Dermal Fillers course? Yes. Dentox is an accredited provider of AGD CERP CEU’s/CME’s, additionally, your Dentox course completion does also entitle you to apply for AMA PRA Cat2 credits as well. Dermal filler therapy is a widely accepted practice in North America that involves filling of tissue loss, wrinkles and other facial and hand structures with filler to increase the youthful look of skin and control the signs of aging. Simply ask your female patients — and some male patients — and you’ll see that dermal filler services are in demand. You’ll quickly learn that many of your patients are already getting dermal filler services elsewhere. Dermal fillers are injected under the skin in areas like the nasolabial folds, the marionette lines and the oral commissures to plump up these areas and help smooth out visible wrinkles. Dermal fillers can also be used for lip augmentation and other procedures. Most often, these services have been done by plastic surgeons and dermatologists, but many kinds of medical professionals can do the injections with proper training. In many cases, it’s nurses and medical estheticians who actually perform the procedures and not cosmetic surgeons. State laws govern who is allowed to perform the injections.As general rule, Botox is often performed on the top portion of the face while dermal fillers are used for the lower portion of the face. Dermal fillers are most commonly used in the areas that frame the mouth and teeth, meaning that they’re certainly within the realm of what a dentist might do as part of his or her treatment of a patient. In most cases, dermal fillers are injected through extra oral injections under or around creases to help plump them — the same areas dentists often inject. The difference is that dentists usually do injections inside the mouth for the purposes of anesthesia. Even medical professionals who at first are concerned that they may not be qualified for doing these sorts of injections or may not have the understanding of how to do work that makes people look better soon find that with the right dermal filler training and a little practice, it comes naturally. And because of the way dermal fillers work, most of them are very forgiving materials that can be manipulated during and after injection for the very best results. That depends on many factors, including the specific filler being used. The effect can last from a few months to permanently. Some products are marketed as temporary dermal fillers while others are considered permanent dermal fillers. Many healthcare professionals are reluctant to offer permanent dermal fillers because there are liability concerns and issues that come from injecting the permanent products incorrectly. In general, temporary fillers dissolve within the body in a 6 to 18 months. There are several types on the market. Both cow and human collagen have been used extensively in dermal fillers in the past, but these products require pretesting of the patient for allergic reactions, so these products have fallen out of favor. Popular to today are hyaluronic acid products like Juvederm and Restylane. Hyaluronic acid is a natural substance that’s lost from the body with aging. Hyaluronic acid dermal fillers add volume to the face and usually look completely natural. Hyaluronic acid fillers usually last 6 to 12 months and are popular for lip augmentation, which is a big plus. 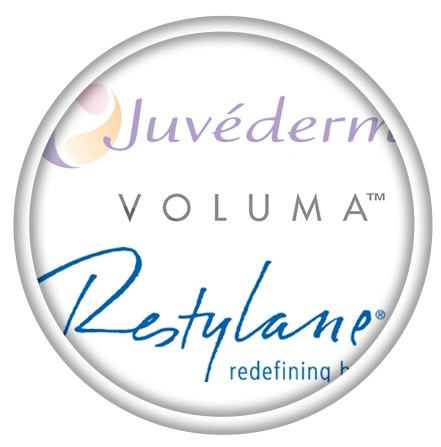 Restylane and Juvederm Ultra are also very recognizable names and very popular dermal fillers. Calcium hydroxylapatite is also a naturally occurring substance found in the body that’s used in a dermal filler called Radiesse. Radiesse is a thick and viscous material that usually lasts longer than hyaluronic acid fillers because it takes longer for the substance to break down in the body. Also, as the calcium hydroxylapatite dissolves, the body naturally replaces it with collagen, which means the area stays wrinkle-free for longer than with other kinds of fillers. Choosing the right dermal filler is important and varies depending on the area being injected. Knowing which material to use is important for the right results, and dermal filler training leads to the understanding that allows you to make the right decision. Why do patients want dermal filler therapy? Dermal fillers are popular products and treatments, so many patients will come to a practice that offers them and simply ask for the procedure. In many cases, patients need no education. They understand what to expect and are likely to be pleased with the service you’re able to provide to them. Because you provide anesthesia along with the products in many cases, the experience is comfortable, adding to their satisfaction. Because treatments are temporary in most cases, liability issues are few. That means you stand to satisfy many patients while making a high level of profit for yourself and your practice. Will I Be Completely Trained And Ready To Start With Dermal Fillers After The Course? Yes. Once you’ve completed the course and received your certification, you’ll have all the dermal fillers training necessary to add dermal fillers to your practice. If you need follow-up assistance, Dr. Katz makes himself available to students who want to send in photos and ask questions about their first cases. You can also attend a live patient program later, and your online course cost will be deducted from the regular cost of the in-person program. How Is It Possible To Do Dermal Fillers Training Online? 1. 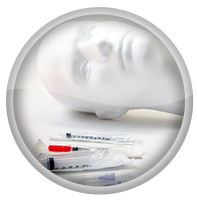 We send you a model human head as well as the syringes you will need for the training. 2. As we demonstrate each injection site from the front and side, then you inject the model in the same locations, making sure you inject to the appropriate location, at the correct angle and to the right depth, setting the syringe plunger at the proper dose volume. 3. 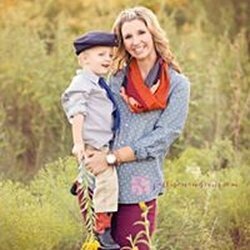 You submit photos of your injection technique to us, and we then confirm that you completed the process accurately or explain how to improve and correct your technique. 4. Once we’re satisfied with your comprehension, we send a certificate of competency to you in the mail. Can I Take This Dermal Fillers Training From Outside The U.S.? Yes. We make our dermal fillers training available to students around the world. The only difference for international students is a small additional fee for shipping the course materials to your location, usually just $30 to $60 extra. If you do not want certification, you can save by asking us not to ship the materials to you. Will I Be Able To Get CME Credit For This Dermal Fillers Training? Yes, you can ask the AMA for credit. Our course qualifies for Category 2 AMA PRA credit in many cases. After attending the course, you can apply for Category 2 credit. There is no guarantee that your healthcare board will approve your application for credit. What Other Kinds Of Training Programs Are Provided? In addition to online dermal fillers training, we provide live and online training in advanced aesthetics, how to open a medical spa and Botox injection. We also offer personal consultations at your practice by arrangement. If you choose to take an in-person class after taking the online dermal fillers course, the cost of your online tuition is deducted from the current price of the live class as in incentive to those who want the additional in-person training or feel they need a refresher course. Can Any Dentist or Doctor Inject Dermal Fillers? Yes, but there are state regulations involved that may limit who can perform injections. View our full list of state-by-state regulations for specific information. Contact the appropriate authorities or board for information on injecting dermal fillers in your state. Is Skill Level Involved In Who Is Allowed To Inject Dermal Fillers And Who Isn’t? No. The decisions are made at the state level by politicians influenced by money. Physicians may actually be less skilled at doing injections that dentists, nurses and other healthcare professionals, but lobbying groups have shown strong influence in doing whatever is necessary to prevent dentists, physician’s assistants and others from reducing the income-earning potential of doctors. Who Is Eligible To Take The Dermal Fillers Training? We limit the course to healthcare professionals but offer training to wide range of providers. Specifically, we teach nurses and doctors as well as dentists, physician’s assistants and others with a strong desire to master aesthetic injectables. Legislation in each state varies regarding which healthcare professionals are allowed to provide dermal filler treatment, so contact your state officials for information on whether you’re legally allowed to add dermal fillers to your practice before signing up for our course. How Long Is The Dermal Fillers Course? Our Dermal Fillers Course up to 4 hours long, depending on the size of the class and length of the Q & A section. 4 credit hours will be received.